While most of the patients in the Research Hall can be dealt with relatively easily by themselves, two types are distinctly more dangerous than the rest and should be treated with particular care: the tall variant carrying transfusion stands and the smaller, outwardly ordinary ones beyond the First Floor Balcony door which use magic attacks. The former type is much tougher and more powerful than the others in general; the latter are wolves in sheep's clothing and appear to be merely the bare-handed Normal version at a distance, but will begin relentlessly assaulting you with projectiles when you draw close enough to get their attention. These wolves in sheep's clothing are found only in the area past the locked First Floor Balcony door in the Research Hall. 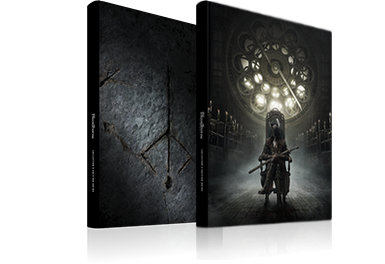 Although outwardly identical to the ordinary bare-handed Clocktower Patients, this version uses the same arcane-based magic attacks as the Small Celestial Emissaries with head tendrils encountered in the Forbidden Woods and the Isz Chalice Dungeons. 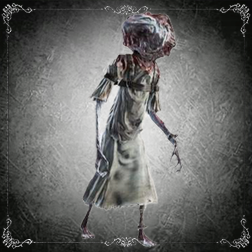 Because you'll have no choice but to face a large group of them at one time with relatively limited room to maneuver, these enemies present great danger and should be treated with care. The Loch Shield will absorb most of the damage from their arcane attacks, but beware that blocking too many at once will deplete your stamina and break your guard. If this occurs, you'll be left vulnerable to further attacks for a few moments and will more than likely be struck with the full brunt of the next projectile. Use the pillars and other elements of the nearby terrain to separate these foes from one another as much as possible; ranged attacks such as Throwing Knives, Molotov Cocktails and arrows from Simon’s Bowblade are effective as well, but you'll have very few opportunities for interrupts or staggers due to this enemy type's focus on ranged attacks. If you must rely solely on melee weapons, focus on one patient at a time with (R1) combos and keep an eye on your surroundings - you'll need to be prepared to retreat behind a pillar or other cover at a moment's notice. Cosmic Blast No Single long-range projectile with moderate tracking; quickstep sideways or use cover to block it. Triple Laser No Fires multiple linear lasers in quick succession.Tracks in all directions and can hit you behind them; quickstep sideways or use obstacles to block it.